I’ve never been into going to bed early. I can remember having sleep problems as early as the fifth grade, which is also around the time that I was reading everything. It was mostly books by Roald Dahl, C.S. Lewis and Madeleine L’Engle, but whatever comics I had would be read over and over again until they were wrinkled little pamphlets. I can’t imagine what it would have been like had the internet existed in my house back then. Even as I write this I should probably be in bed! I would see posters and ads in Wizard magazine for Neil Gaiman’s masterwork all the time, and was curious as to what this non-superhero comic could be. At that point, I was reading the darker superhero stuff but I wanted something more. I had no idea that comics could offer fantasy as rich as Tolkien or C.S. Lewis and that stories didn’t have to be resolved with a massive knock down drag out fight. As fun as those also are, it was cool reading about a protagonist named Morpheus who got out of situations occasionally with otherworldly powers, but more often than not with his wits and intelligence, and experience being the keeper of dreams. I started with “The Doll’s House,” the second arc of The Sandman series. In retrospect, I’m glad that I did, as “The Doll’s House” is way more coherent than “Preludes and Nocturnes,” the first storyline of the series. In this book we get to know more of The Endless, Morpheus’s family. We also get to see dreams gone wild, and a serial killer convention featuring the horrifying villain The Corinthian. How horrifying? He’s got teeth in his eye sockets! It took a while for me to continue forward with more Sandman volumes since a graphic novel was a little harder to spend hard-earned lawn mowing money on. 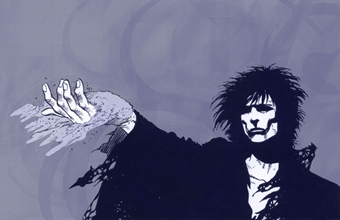 Much like the individual issues of Spider-Man, Batman, X-Men and Daredevil that I read through hundreds of times I read through each volume of The Sandman numerous times, anxiously waiting for a new story featuring Morpheus, Death and maybe even William Shakespeare. What’s funny about this habit is that it was carrying over into my dreams, and contributing to my insomnia and 7:15 detentions from being late to first period. Even the iconic cover art by Dave Mckean managed to creep into my head. I wish that was still the case now, unfortunately now I often dream of being late to my first period class in high school. As time went on I worked at jobs that actually paid me enough money for things that teenagers do and the occasional graphic novel. I remember the series ending at issue 75 in 1996 and being shocked by the concept of a comic book series ending because the creator planned it. Sadly, by the time I was done, I wish I had not taken my time, as some of the magic of reading Sandman had lost some of the appeal of being camped up in my bed on a chilly October night, the light of a little clip-on bed stand lamp being the only one on in my entire block. My tastes had shifted, as is the case when we get older. Fortunately, Gaiman wrote a number of wonderful rewarding books that took me less time to devour the worlds inside, much like the terrifying Corinthian. Lately I’ve been in a similar headspace to where I was in my younger years. My current job requires me to wake up before 6:30 and I’m often not home until past 7:30. In a weird way it’s similar to my schedule in high school! As a result I find myself listening to some Cure, Joy Division and My Bloody Valentine on the way to work. Maybe it’s time to crack open that copy of “Preludes and Nocturnes” sitting on a shelf only a few feet from my head. Maybe I’ll even skip ahead to “The Doll’s House.” Or maybe I should go to sleep, it’s getting late. 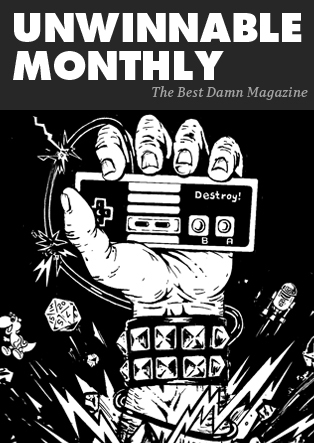 Want to talk about The Sandman, or the 90s? Hit me up on Twitter @EdwardsDeuce!